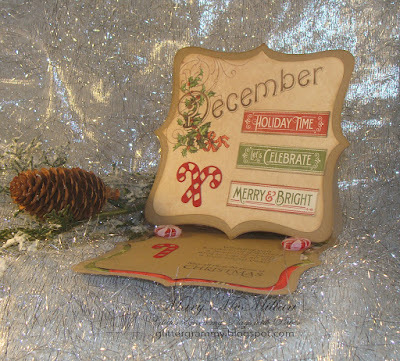 Sandra H chose this month's challenge and a fun challenge it is. Who doesn't like candy canes. My card is super simple and it's not going to break the bank to mail it. I used Poppystamp dies and a Poppystamp rubber stamp. 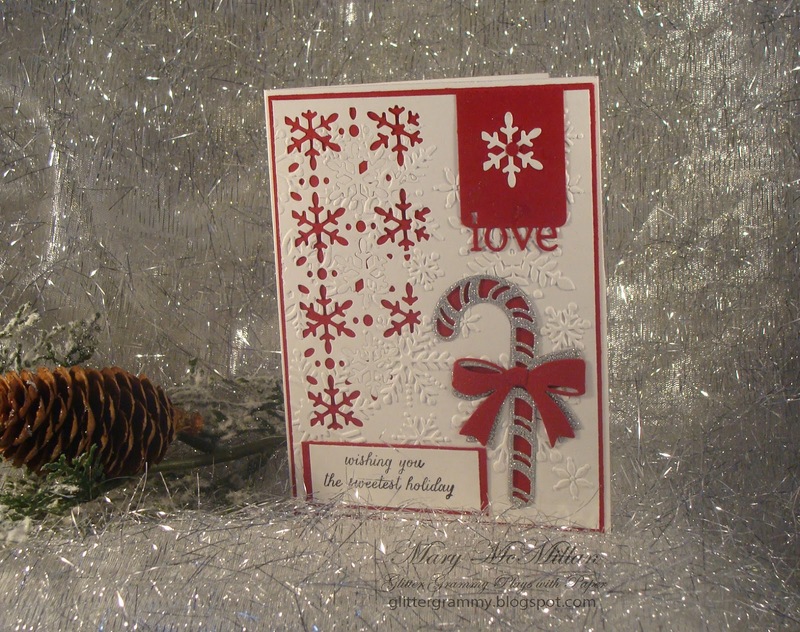 And I used a snowflake embossing folder to add a bit of interest to the background. I must admit I did have a bit of a challenge. The snowflake background die cut really well, but when I embossed the paper, the center line of the die had some nasty rips...so, I took the snowflakes that fell from the die, and just pasted them into the torn pieces. You really have to look to see what I'd done. Another mistake....under the red "love" tag....well, there is a nice black ink mark. sometimes things happen, but can be fixed. A good way to use scraps that probably wouldn't be used for anything else. Well that's it for me. Until next time....Happy Crafting and Hugs from me to you.